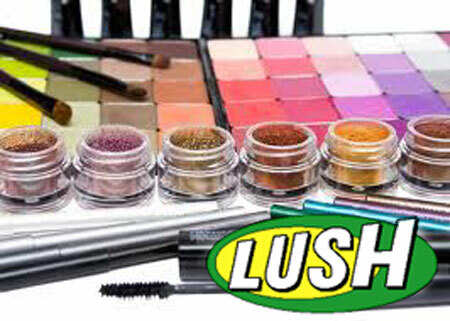 Lush fresh handmade cosmetics are a premium brand from UK. LUSH makes effective products out of fresh fruit and vegetables, the finest essential oils and safe synthetics, without animal ingredients. Lush believes in writing the quantitative ingredient list on the outside. Today Lush has 580+ shops globally. It also operates mail order businesses from the UK, Canada, India, Australia, Italy, Japan, Sweden, Hong Kong, Switzerland, Hungary, Germany, Taiwan and the United States. Lush hand-makes the cosmetics in UK, Italy, Canada, South America and Japan, in it’s own production facilities, so every product available in the shops or sent to the customers by mail is as fresh as it can possibly be, because fresh products work better and use fewer preservatives. LUSH is firmly committed to a policy which not only precludes testing its products and ingredients on animals, or engaging with third-party suppliers to do so on their behalf, but they also do not buy any ingredient from any supplier that tests any of its materials on any animals for any purpose. This policy is unique in its field and is pioneering a new way to stop animal tests for cosmetics. The LUSH aim is to have the youngest, freshest products in the history of cosmetics.